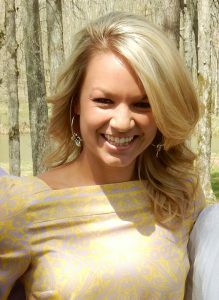 Megan Huddleston is originally from Cleveland, Tennessee. In 2004, she graduated high school with a passion for people and meeting the needs of others. She majored in biology with an emphasis in pre-med at Lee University and was then accepted into the inaugural class of physician assistants at Lincoln Memorial University. She gives credit to God for being with her through her studies and as she passed her board certification exam in September 2011. Since then, she has been practicing as a physician assistant. This position has allowed her to work with both the young and the old. For the first year after school, she worked in pediatrics, transferring later into primary care where she served evening patients in an office setting and cared for nursing home residents at Lifecare Tullahoma and Lynchburg Nursing Center. Since 2016, we have been privileged to have her as a key part of our team at Innovative Family Care. We have a deep concern for our patients and aspire to not only treat their physical needs, but to also build relationships. Megan invites you to become her patient. She welcomes personal stories and enjoys sharing a few hunting and fishing tales of her own. It is my goal to treat the whole person, not just the acute or chronic condition. In my life, God has blessed me beyond measure. I have a wonderful family and a fulfilling occupation with great patients, many of which I am honored to call friends. I look forward to many more years at Innovative Family Care, and I am anticipatory of the opportunity when I will be able to provide care for you and your loved one. May God bless you and keep you.